An intelligent, data-led approach to curate effortless customer experiences—for the right customers. 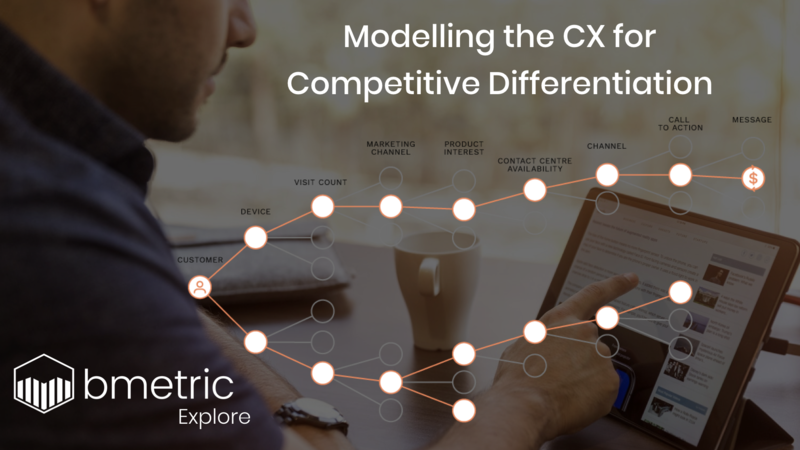 This instalment of bmetric Explore introduces, what we have learnt to be, the intelligent approach to leveraging the Customer Experience; to position your brand as the logical first choice against your competitors. In markets occupied by agile competition, where price-comparison sites enable the consumer to be more rational than ever when choosing their product and service providers, customer-centric competitive differentiation is a key strength for the brands who get it right; enabling the brand to position itself, and be perceived by customers, as the rational first choice, among your competitors. In order to effectively differentiate your brand through customer experience to successfully gain market-share—whether you’re in utilities, insurance, telecoms or travel—it is imperative to take an intelligent, data-led, approach to know and react to your customers’ real needs and expectations of the user and customer experience you offer. Match the experience you offer to what suits your customers’ personal needs, in-the-moment. DMP/CDPs have allowed businesses to learn more about their customers, but to follow through and use these learnings to resonate with customers requires an intelligent solution. It requires both bringing customer journeys into your analytics and bringing analytics into your customer journeys. To curate an experience which is proactive and responsive toward the characteristics and nuances of your customer-base and each individual customer journey through your website’s on/offline channel possibilities. Bring customer journeys into your analytics, and apply analytics to individual customer journeys. Brands which routinely satisfy customers are those which lift the burden of choice from their customers’ shoulders. As discussed in our previous Customer Indecision post, one cause of customer churn can be an overwhelming amount of choice internal to the brand. A board offering, many options, or just too much information, can hinder the customer during the decision-making process. However, customer churn can also occur due to external factors. 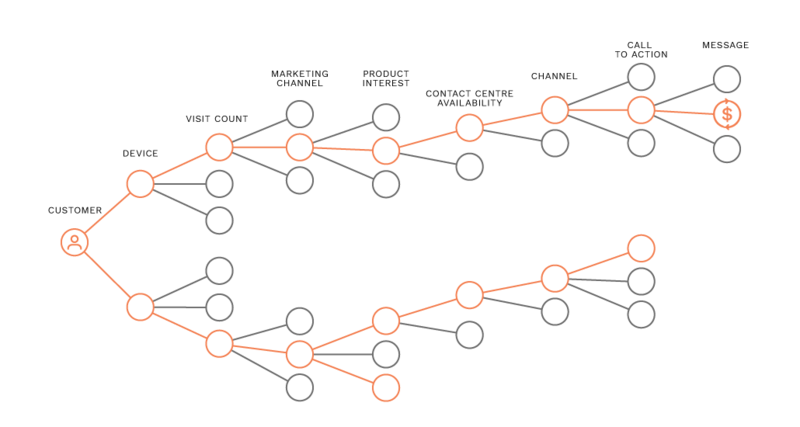 Amongst agile competitors and challenger-brands, jostling to connect with high-value customers, businesses who proactively remove the burden of difficult or boring processes for high-value customers see increased conversions and higher retention, with studies showing only 9% of customers being disloyal to a brand that offers a low-effort experience, against 96% being disloyal when offered a high-effort experience. The way in which you engage your customers will set the tone for the rest of your foreseeable relationship with that customer. Customers are responsive to savings, not just financial savings, but savings in their time and their energy. To put it simply, when customers interact with a business they’re trying to do a job, it is the responsibility of the business to prioritise and facilitate the customer in the doing of that job, accounting for CLV, whether the customer wants to purchase or is seeking service, experiences must be tailored to suit the needs and expectations of those high-value customers. Take a data-driven approach to facilitate ease-of-use on a single customer level, with personalised journeys for the high-value customers who need it. Provide the ability to optimise future customer journeys from the ground up, using journey analytics. Achieve both A and B with departmental and cross-departmental goals paramount. Let’s have channels complement each other’s performance, with a solution that avoids cannibalisation. It’s a practice of both bringing customer journeys into your analytics and analytics into your customer journeys. 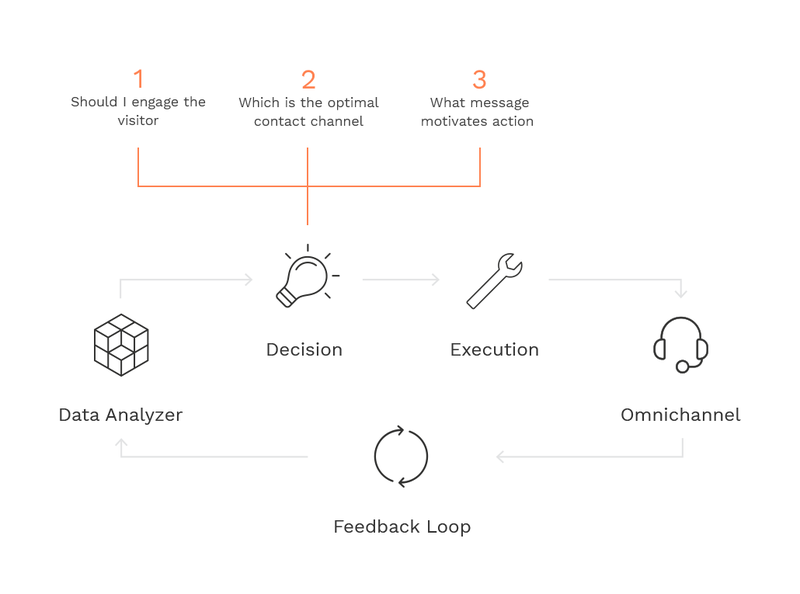 This is what we at bmetric have learnt in our experience of channel management and CRO solutions, our Onsite Channel Management technology is built to mobilise stagnant customer journeys toward the right action, and provide the insights to enable further optimisation of future customer journeys. Deliver the right customer, to the right channel, at the right moment; to make sales and service work better for business and customer. Our Onsite Channel Management solution is provided as a full-service solution for service providers in competitive markets. It combines AI & machine learning decision-making technology; with a feedback loop to continuously evaluate, nudge or route customers to the most appropriate channel, assisting your department in meeting your internal sales and service goals. The power to make more complex and better decisions—on a mass-scale. A big part of making onsite engagements work for you and your customers is the astute decisions of our Intelligent Engagement technology. Engaging the right customers in the right way by taking into account lead value, channel cost, and the distribution of the leads you are currently working on. The same level of diligence in decision-making is required across all online customer journeys, to ensure that engagements are being well-received by customers online. This makes AI and machine learning a necessity when delivering intelligent engagements; our decision tree layout presents the routes to engagement in an accessible relatable format. Above, is a simplified version of the routes to engagement though, in actuality, bmetric currently provide well over 600 potential routes to engagement to some of our customers. When it comes to proactively engaging customer journeys, it’s important not to be limited by your routes to engagement. It’s AI and machine learning that enables our technology to be truly responsive to events and data within the customer journey, in real-time, for every journey taking place on your website. Boost efficiency and proactivity in the contact centre, it’s time to evolve the employee experience. 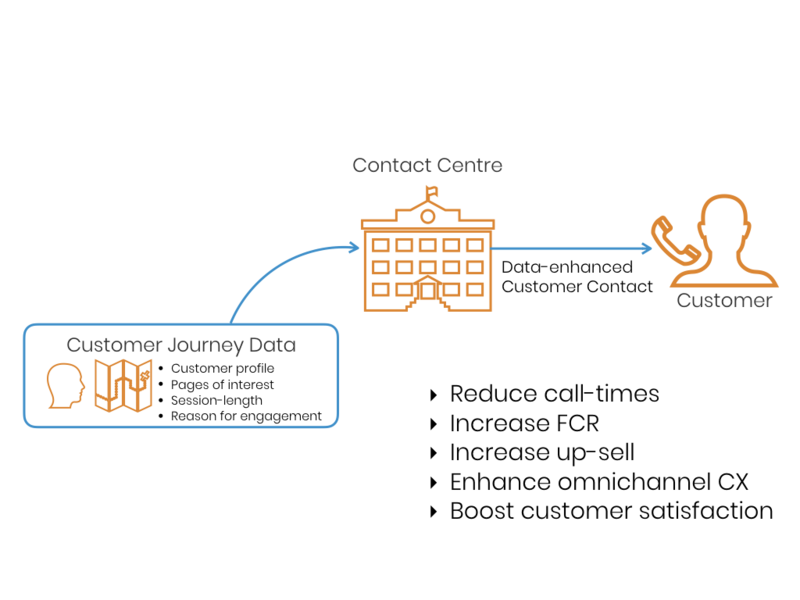 Proactive information transfer makes our comprehensive data-led approach to omnichannel routing even more of an asset in your contact centre. Onsite Channel Management can send contextual information of the online journey, and the wider b2c relationship to the contact centre agent—ahead of the contact centre interaction. Provide the right experience to the right customer—before they look to your competitors. Each customer’s journey on your site consists of information, decisions and actions taken by the customer on your site. For instance approaching your site from an email newsletter, browsing over the same two pages repeatedly, partially filling-in a form, but not completing it. These and many other patterns all signify something of the customer journey. Caught in friction? Descending into customer churn? Considering other options? These insights are a form of unspoken communication which is key to curating an experience that works. The reality is that the majority of unsatisfied potential customers do not complain, they churn. The combination of proactive engagement and gathered insights, with a continuous feedback capability come together to form the comprehensive, intelligent approach which brands in competitive markets must take to effectively enhance customer experiences; Onsite Channel Management delivers this as a full-service solution, providing the power of AI and machine learning with minimal resource usage and none of your IT resources. Today’s customer expects processes to be effortless and intuitive, let’s start providing an experience in a way that benefits both business and customer. Learn more about bmetric, our technologies and what we can do for your company here or contact one of our New Business Engagement team to learn more about what we can do for you.